What Is a Learning Disability in Applied Math? A learning disability in applied math affects the learner's ability to use math skills to correctly solve problems. Learn about the causes, signs, and treatment of this disability with this review. Learning disabilities in applied math skills likely involve difficulty with numerical language processing and visual reasoning centers of the brain. They are likely hereditary and are not solely the result of problems with expressive or receptive language or visual or hearing problems. They also do not solely originate from lack of instruction or other learning disabilities. Yet, having any of these conditions can complicate a learning disability in applied math. People with learning disabilities in applied math skills have difficulty solving math problems that involve using math computation to solve real-world problems. They may have no difficulty solving problems in basic form, but they are unable to solve word problems because they cannot determine what elements in the problem are important or what operations to use. As with other learning disabilities, students may withdraw, avoid math, or develop behavior problems to get out of work that requires them to use applied math skills. If your child exhibits such behaviors, discuss the possibility that your child has a learning disability with her teacher. Teachers can use a number of instructional techniques to better serve children with learning disabilities in math. Evaluating these students through formal assessments can provide information to help educators develop effective strategies. Typical strategies focus on work with hands-on materials to help learners visualize what happens in the problem-solving process. Mediated problem solving can help learners grasp and understand main concepts involved in word problems. Remembering how to perform operations may be difficult for them because they do not grasp the underlying concept of the task. People with learning disabilities in applied math skills have general learning ability that is as high as or higher than their peers. Because they may be well-rounded students overall, children with learning disabilities in applied math are sometimes self-conscious in math class and may withdraw from classmates and avoid math tasks. 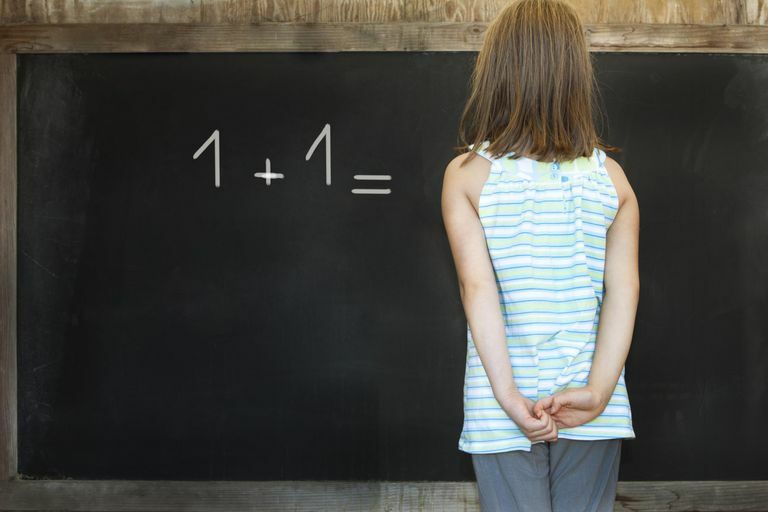 Behavior problems in math class raise the possibility of a learning disability because they are common avoidance tactics and ways for students to express frustration. Diagnostic math tests can be used to determine what specific types of problems are affecting the learner's math skills. Through observations, analyzing student work, cognitive assessment, and possibly language assessment, educators can develop individualized instructional plans to help such students succeed. If you believe you or your child has a learning disability in applied math, contact your school principal, teacher or counselor for information on how to request an assessment. For students in college and vocational programs, their school's advising office can assist with finding resources to help ensure their success.